This summer at Heartland we dove into relationships and adventure fearlessly, we were met with God’s grace and love at every turn. Each day at camp, whether it was through our overnight camp, day camp or traveling day camp programs, our campers and staff learned more and more about being courageous in their walk with God. This summer was filled with stories of first trips down the zipline, sharing testimonies in cabins, welcoming new friends, stepping out of your comfort zone during songs, and praying for others. In all of these ways courageous faith was shown during the summer of 2016 and we are so blessed to have been a part of it. Our Heartland Day Camps at Parkville and Olathe collectively served nearly 600 campers this summer. These programs welcomed campers from kindergarten through 6th grade, some for one week and some for ten weeks. Day camp provides opportunity for campers to truly find a safe space, away from school to create, laugh and grow, all through God’s unending grace. Courage was displayed in campers who took initiative to lead prayers thanking God for one another, in groups that didn’t know each other on Monday morning who were sharing their struggles by Friday afternoon and in relationships built without fear of judgment. 31 church communities welcomed over 1300 campers into their doors and allowed our Heartland staff to work hand-in-hand with them to make their 5 days together unforgettable. Heartland’s Traveling Day Camp Program each week moved across the states of Missouri and Kansas to prove that camp is not a location, but rather a way to worship and celebrate together the goodness of God. These traveling camps were filled with firsts, from the first time riding a horse to the first time proclaiming a love of Jesus Christ. We have been blessed beyond measure by volunteers that worked to provide love to campers, meals to our staff and energy to their church bodies. Through it all, God’s provision never failed and reliance on the Giver of all good things was shown through our wonderful summer staff. Ephesians 2:10 tells us, “For we are God’s handiwork, created in Christ Jesus to do good works, which God prepared in advance for us to do.” What a beautiful thing that this group of over 60 young adults were brought to Heartland to do God’s work as a body of Christ. We saw counselors wipe tears and laugh with campers on a daily basis, we heard their prayers on weekends for the hearts of kids they grew to love, and we saw the joy of Lord in their silly songs of praise. We all ask you to continue to pray for all those who encountered God this summer through a Heartland program. Pray that all our hearts continue to rely on Jesus’ goodness and to live courageously as a light of God’s love in this world. Now, this is just a glimpse of what a summer at Heartland looks like, but we encourage you all to ask those who came here to share their stories of how God showed up. Ask for stories of the moments that changed their faith, Bible passages that were experienced in new ways or how they served another in joy in this place. 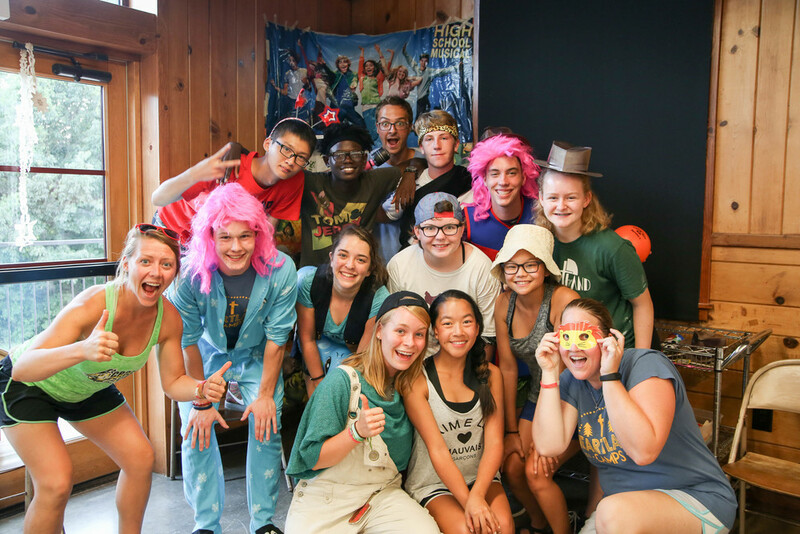 And for those who were a part of the ministry here this year, as a camper, church member or staff member, freely share these stories with those around you and celebrate what a summer it was.